With consistent studio output and live sets over the last four years, 2010 looks set to be their year, with Dj’s including Loco Dice and Steve Lawler heavily strengthening their profile with huge support in their backbeat of warm-swung loops that drift towards the sounds of early house and never fail to unwind with a looped combination of stunning tones, subtle synths and intricate drums. Riding high on the techno scene’s recent climate change with grooves that twist and turn each bar yet never loose the consistent grasping control over your body’s lower torso; Livio and Roby have been producing percussive prompted beats with a natural European zest long before the majority of today’s techno dj’s ripped back the parched electronic layer to reveal a more organic house sound. Displaying exceptional production skills, early releases and remixes appeared on Lawler's Global Underground "Lights out 3" and "Viva" compilations. 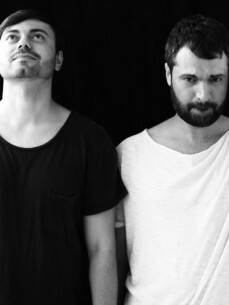 On top of clearly knowing their way around a pair of turntables, 2007 followed with releases thick and fast; the classic simplicity of their gritty underground sound, assembled into increasingly energetic tracks made Livio and Roby one of the most visible names of the deep house resurgence. 2008 saw the pair share the turntables alongside Loco Dice in Romania resulting in the ultimate testament to their musical talent. Dice welcomed Livio and Roby into his community of creativeness, promptly inviting then to join both his booking agency Artist Alife and much applauded label Desolat where they went on to release “Mistique” in collaboration with their pal George G. From their early appearance in the booth with Loco Dice and Martin Buttich at Cocoons Ibiza residency to recent singles on Nick Curly’s Cecille imprint, the two Romania producers have built quite a reputation for themselves that really justifies the heavy hype that's been surrounding them of late. Labels including Viva Music, Cecille and Loco Dice’s eminent Desolat have welcomed the deep duo to explore a now signature sound, that's awash in the beats that made many of us fall for house in the first place. Exercising their persistent reference to a winning Chicago and Detroit compound, sitting on the deep, percussive side of house has earned them their respected place in the often tangled and disjointed electronic scene.